Hello beautiful. I hope you have been well? 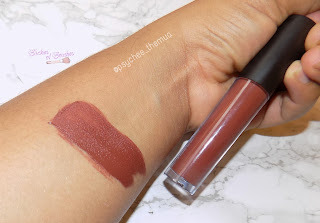 As I promised in my last post, I will be reviewing another HushBeautyNg product today, their liquid lipstick in the shade Arcadia. Now correct me if I am wrong but this shade is named after Pamela Arcadia who is a Nigerian perfumer. I have heard great things about her dupes for perfume which is just great. I just love that Nigerian entrepreneurs are collaborating now. Packaging: this lipstick comes in a triangular package which is quite unique in my opinion. The lipstick tube itself is very similar to the Taos lippies in size, feel and look. It is a sturdy plastic tube that is transparent with a matte black screw-on top. The lipstick has a small doe foot applicator that is perfect for precision and less mess when applying the product. 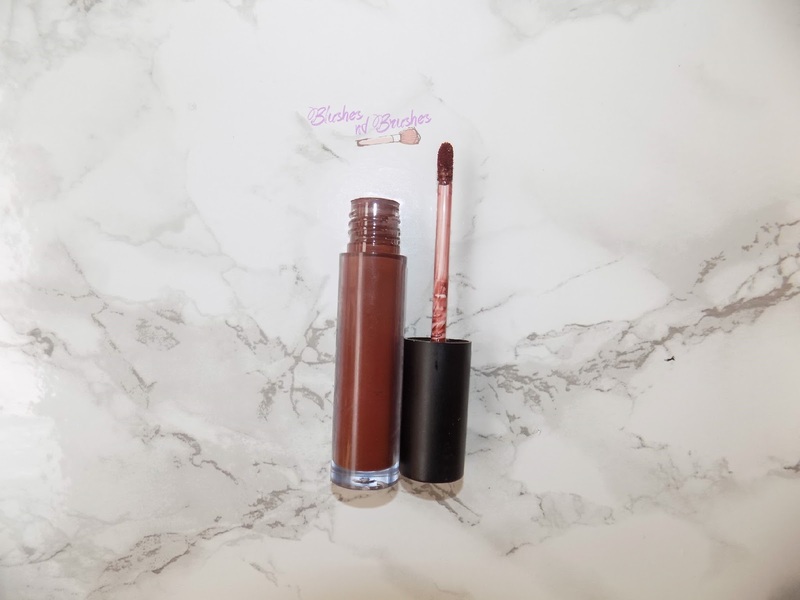 Colour description: this lipstick is a gorgeous brown neutral shade with some red undertones. Immediately I swatched it, I felt like it was Taos Tunis baby’s deeper sexier cousin, lol. Pigmentation: since the lipstick tube is transparent, you can see the colour of the lipstick straight away. When swatched, the lipstick stays true to colour and shows up very opaque and deep on my skintone (medium/tan). There is no patchy application with this product. Application: this product applies so smoothly. It glides on the lips without settling into any cracks. It has a similar feel to my ABH lipstick in the consistency with which it applies. I don’t particularly have dry lips and I always wear my EOS lipbalm before applying any lipstick so that may be a factor in the way the lipstick applied and felt. I did notice that my lips felt dry after a few hours but nothing extreme. My verdict: I am OBSESSED with this lipstick. Anyone who knows me knows that I am a sucker for neutral lip colours and this shade is right up my alley. I have worn this lipstick for 10-12 hours without needing to reapply even after I had a meal. This baby is long lasting and smudge-proof! 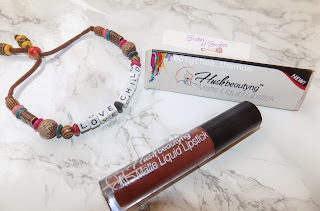 HushBeauty has a wide range of matte shades and they even have metallic shades which all cost less than 2500 naira! And they offer nationwide delivery! Yaas honey! I haven’t stopped wearing this lippie since I got it. It’s a great product. Disclaimer: This review is my true and honest opinion. This product was sent to me for review. Useful tip: if removing liquid lipstick is a problem for you, try using Vaseline/olive or coconut oil on your lips before wiping off with a makeup wipe or damp washcloth. You can also use the oils to remove tough mascara and gel or liquid liner. I hope you enjoyed my post. Do you love this lip color as much as I do? Have you tried HushBeautyNg products? Leave a comment down below and don’t forget to subscribe o get updates on new posts. Humans are satisfied with whatever looks good;God probes for what is good.